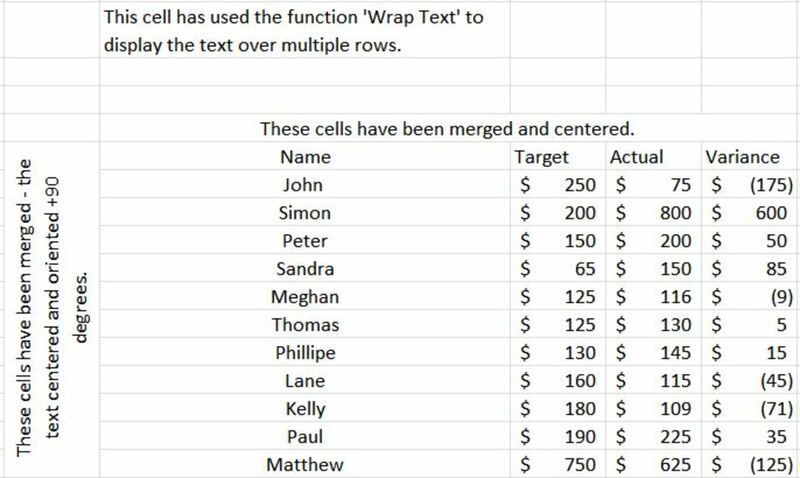 This article will cover the basics involved in formatting a Microsoft Excel worksheet including formatting of cells, use of styles, merging and alignment, fonts and conditional formatting. Once completed you should be able to professionally format a worksheet so that it can be used in presentations. Formatting cells so they present data correctly (example: formatting as dates or currency) will give more value to your data. Using styles (such as table styles) can make your data stand out and helps the reader to focus on important parts of the worksheet. 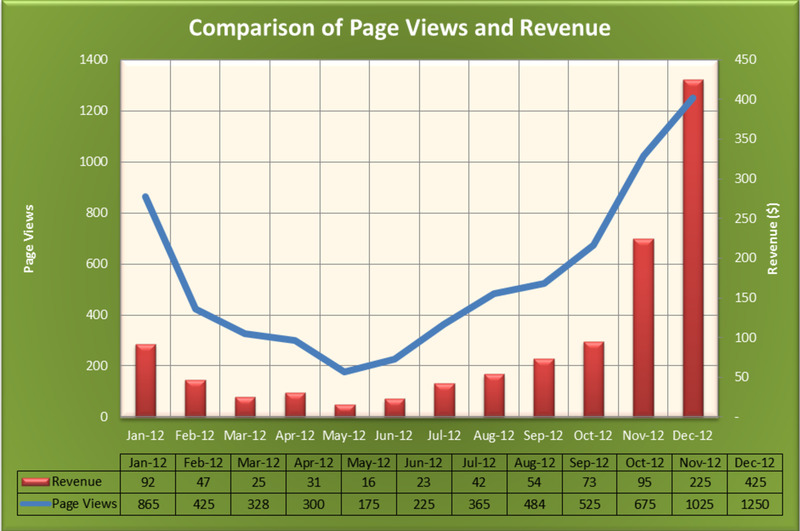 Merging and aligning your data is an important aspect of making your data more readable. Formatting your text by increasing the size, adding italics, bolding or changing the fonts will enhance the overall look of your worksheet. 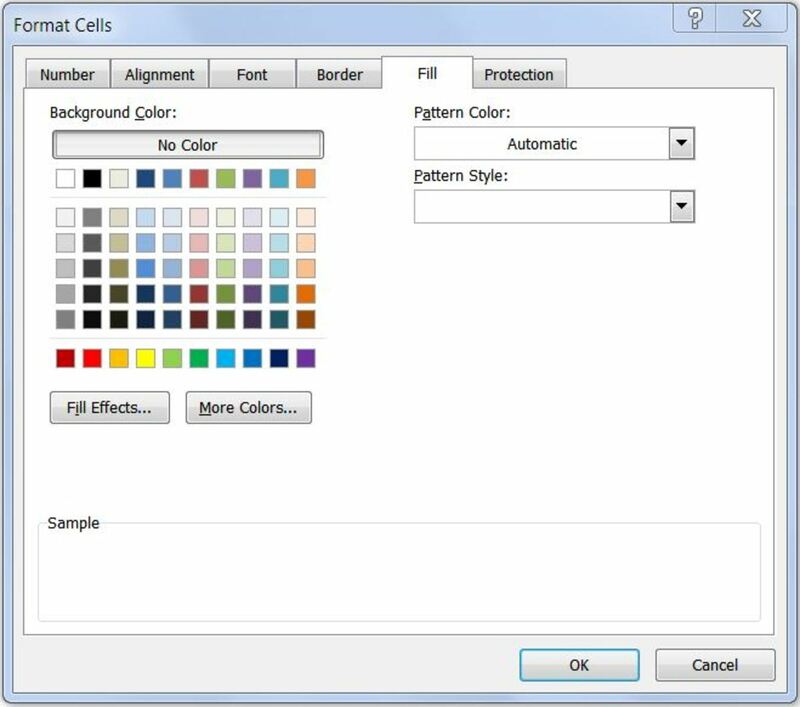 Conditional formatting is a great tool that allows you to graphically or visibly highlight important areas of your worksheet – as these tools are dynamic, as your data changes so does the highlighted area. On the Home Tab of the ‘Ribbon’ is a Cells section. 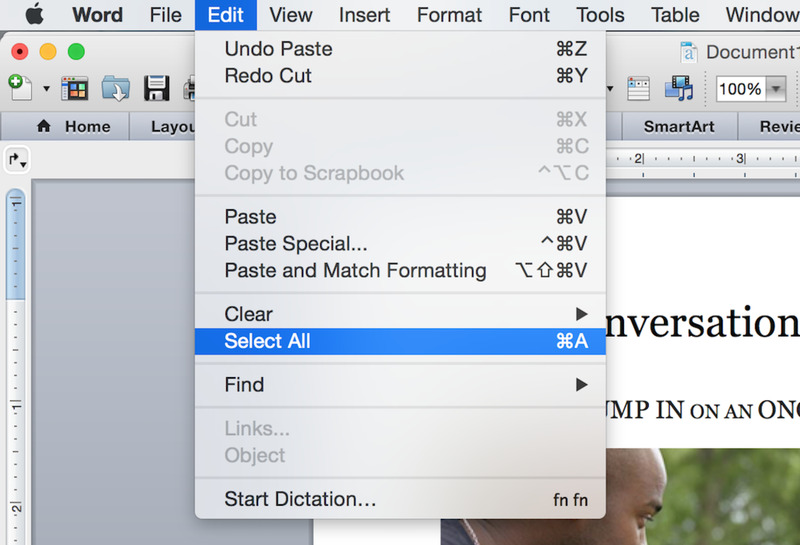 Clicking the small arrow beneath Format shows a small menu of formatting options – clicking the ‘Format Cells’ option will open up the main Format Cells Dialog Box. 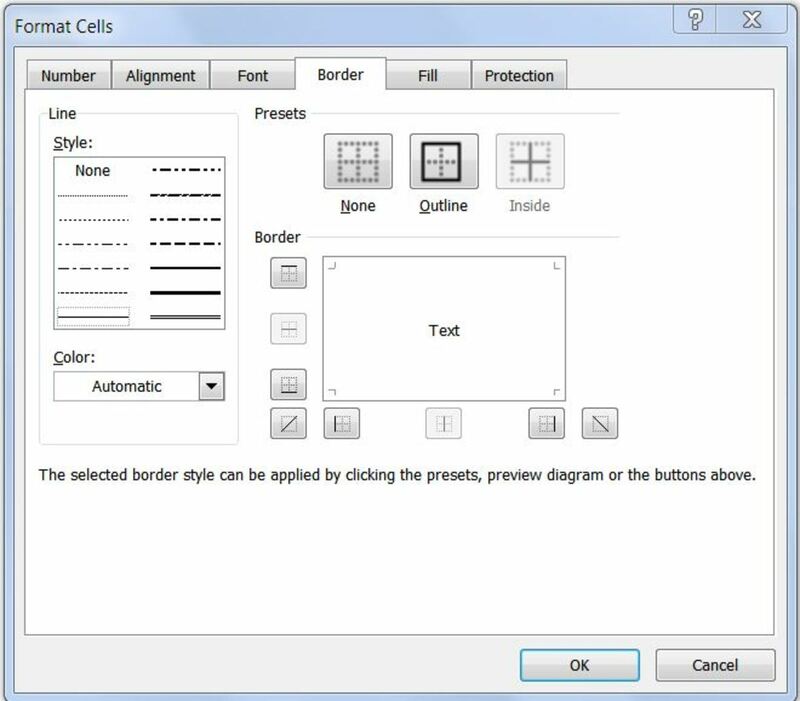 On the Home Tab there are various sections such as Font, Alignment, Number etc – these provide the most common elements from the main Format Cells Dialog Box – clicking the small arrow at the bottom right of each of these sections (where appropriate) opens the full dialog box. One of the most important factors when formatting a worksheet is the format of a number. Without formatting, a number is simply a measure – when proper number formatting is applied it becomes information. When formatting is applied the reader will instantly know what the number signifies. 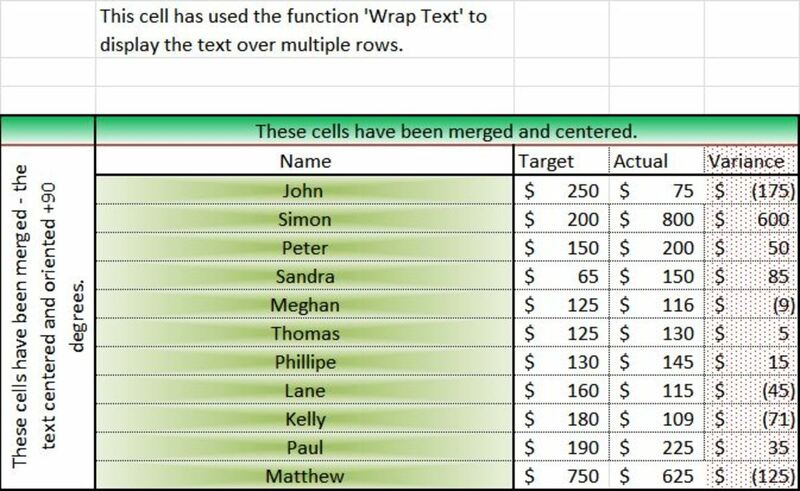 General – this formats the cell with no specific number format. 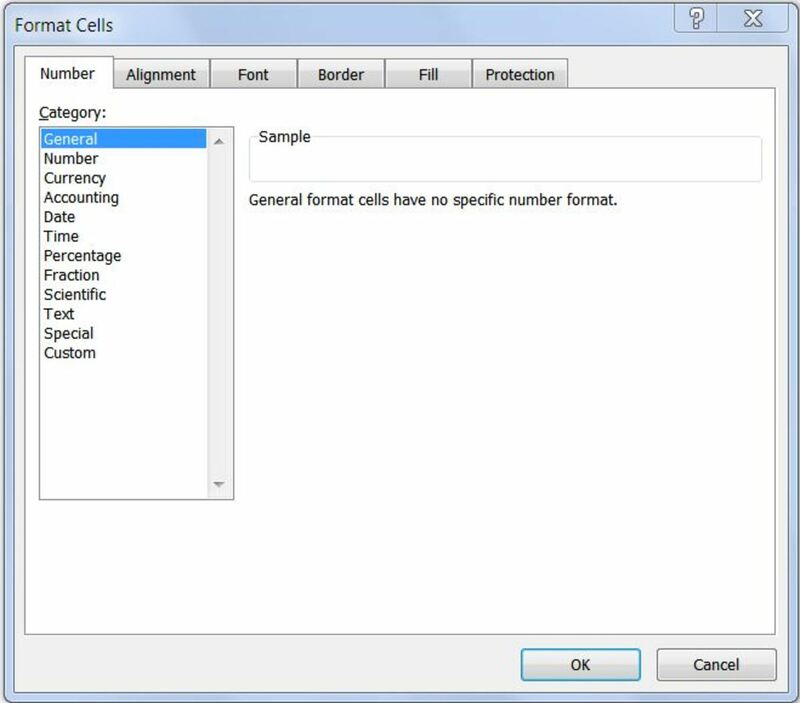 Number – this formats the cell as a number and allows customization of number of decimal places, whether to use a 1000 separator and how to display negative values. Currency – this formats the cell as a specific currency and allows customization of number of decimal places, the currency and how to show negative values. 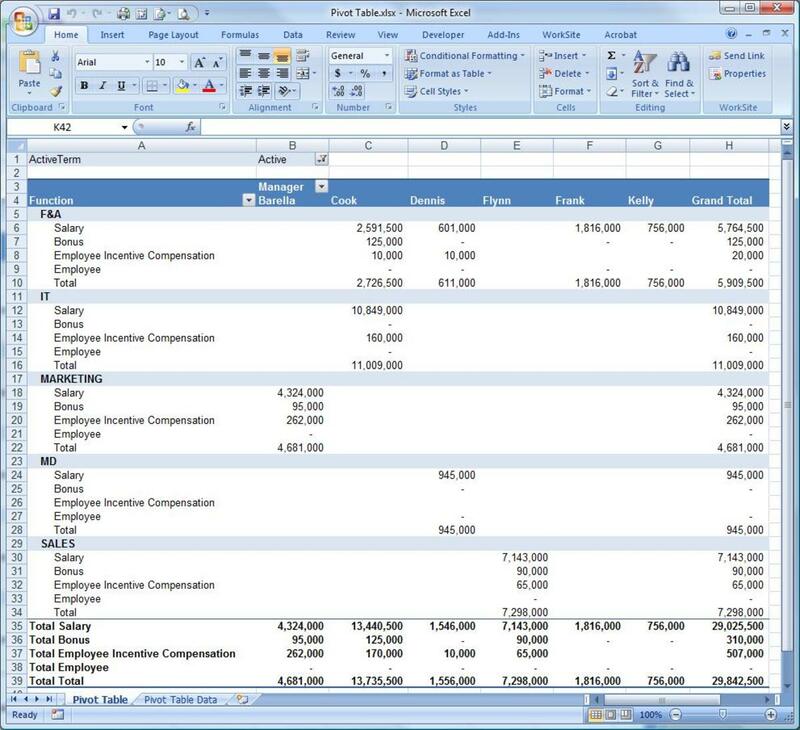 Accounting – this formats the cell as specific currency and also aligns the currency symbols and decimal points in a column. It allows for customization of the decimal places or the currency. 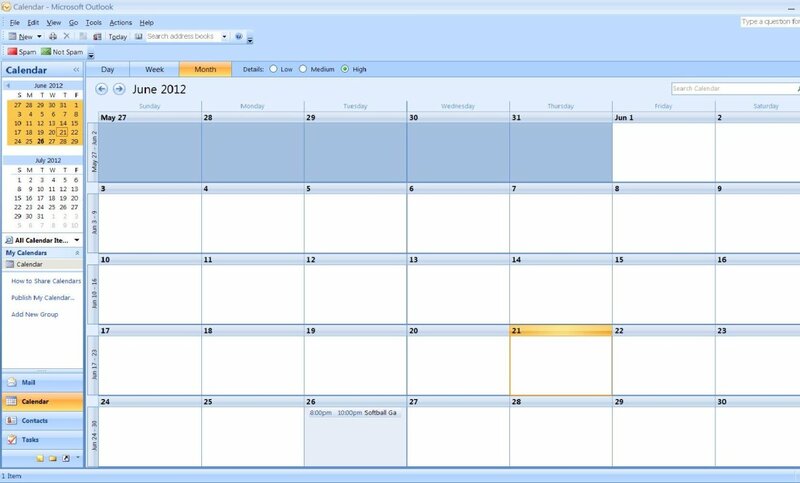 Date – the formats the cell as a date. It allows varying styles of dates and the ability to select a locale. Time – the formats the cell as a time. It allows varying styles of time and the ability to select a locale. Percentage – this multiplies the cell value by 100 and displays the result with a percent symbol. Fraction – displays decimals as fractions. It allows for customization of the type of fraction – one digit, two digits, three digits, halves, quarters etc. Scientific – displays the cell in standard scientific format. 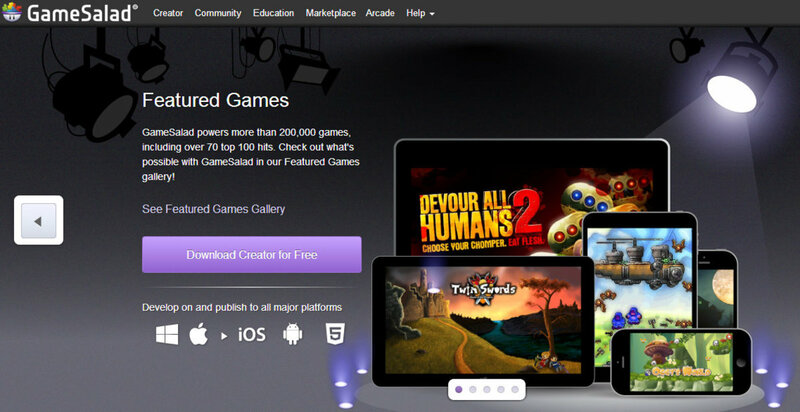 It allows for customization of the decimal places. 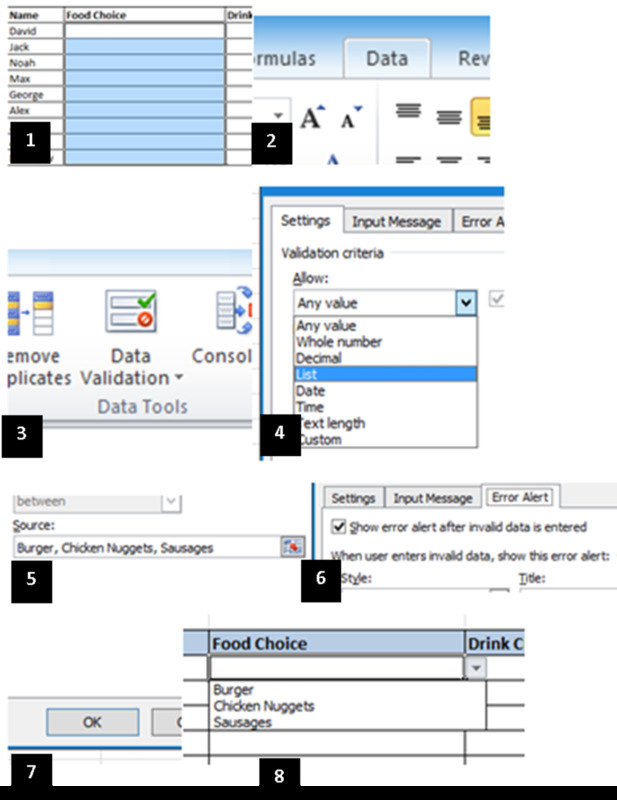 Text – treats all entries as text and will display cells as entered. 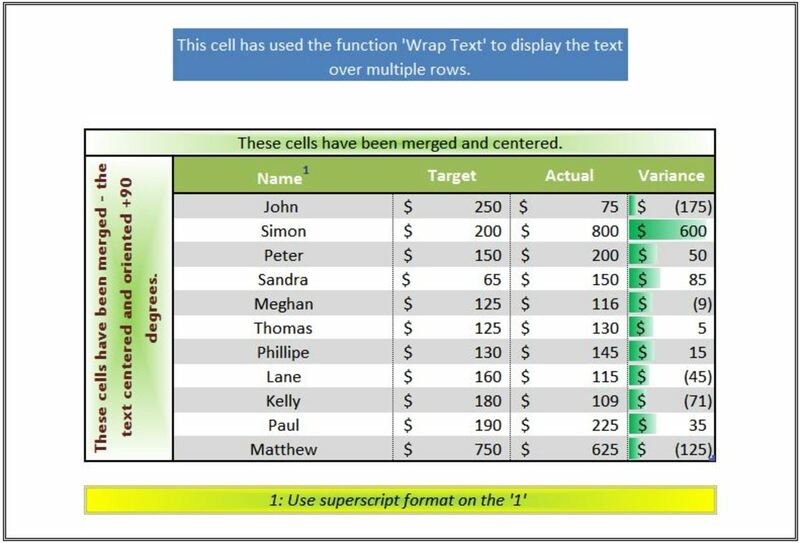 Special – formats the cell using special formats such as Zip Code, Phone Number or SSN. Custom – allows for customization of the standard format codes. 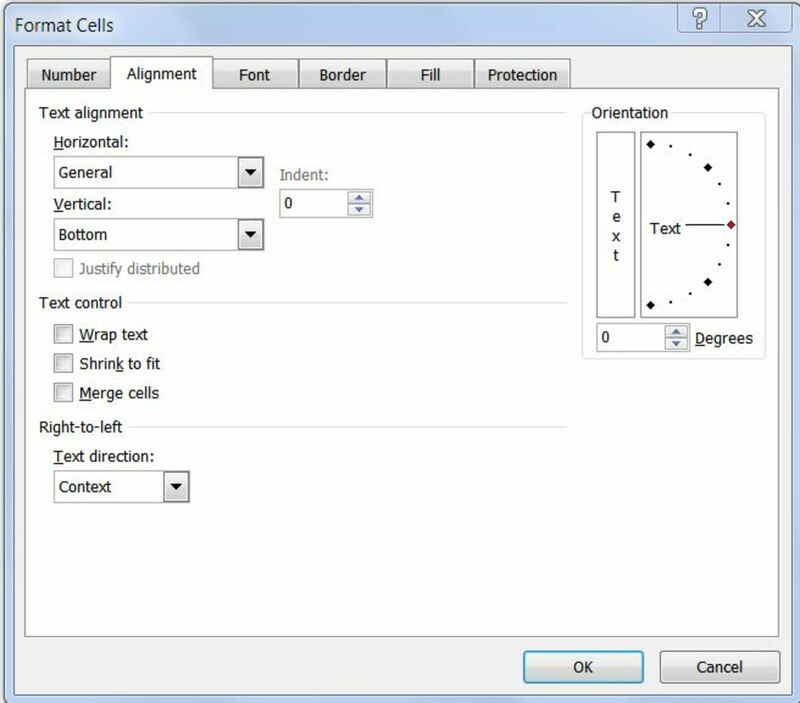 While it isn’t obvious, alignment is a powerful formatting tool that will help to make your data more readable. 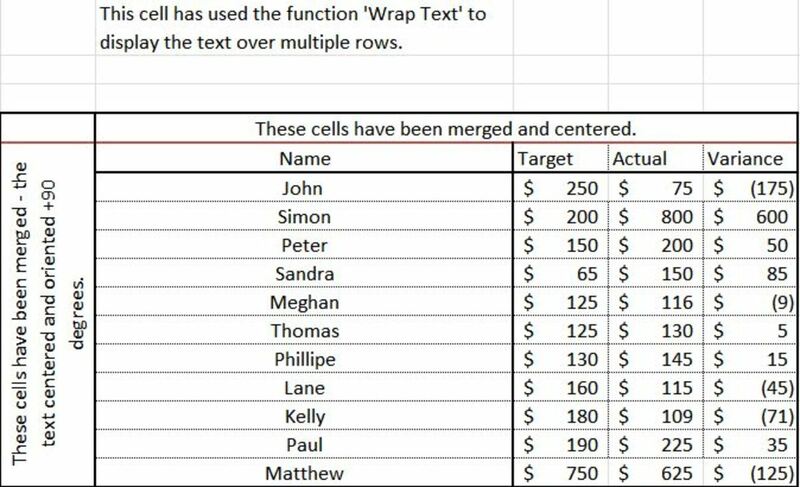 With the ability to spread headings over columns, wrap text, change the orientation of the text and align the text within cells you are able to provide as much information as possible by using simple text. Adding borders to a worksheet are a great way to help readers categorize data – use of borders allows you to help focus the headings for rows and columns and define what are categories and what is data. If necessary, re-apply the thick border to range D5 to G6. 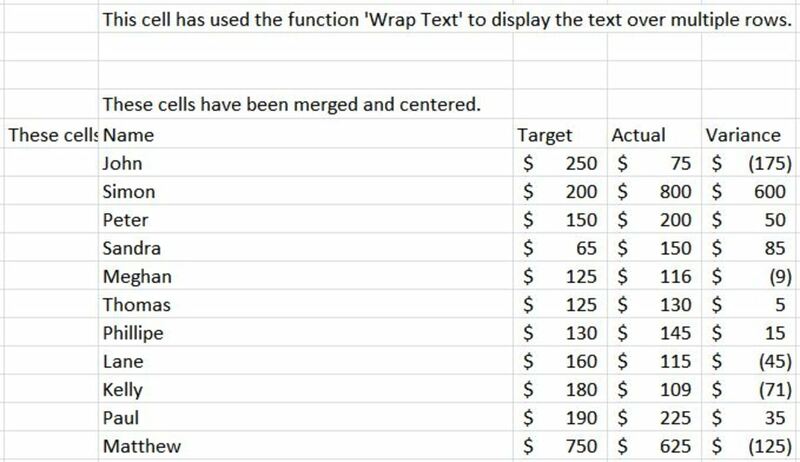 The fill formatting options on Microsoft Excel add some depth to the data making the presentation easier to read and understand. With advanced features such as using fill effects or shading styles it is very easy to produce effects that can highlight your data. 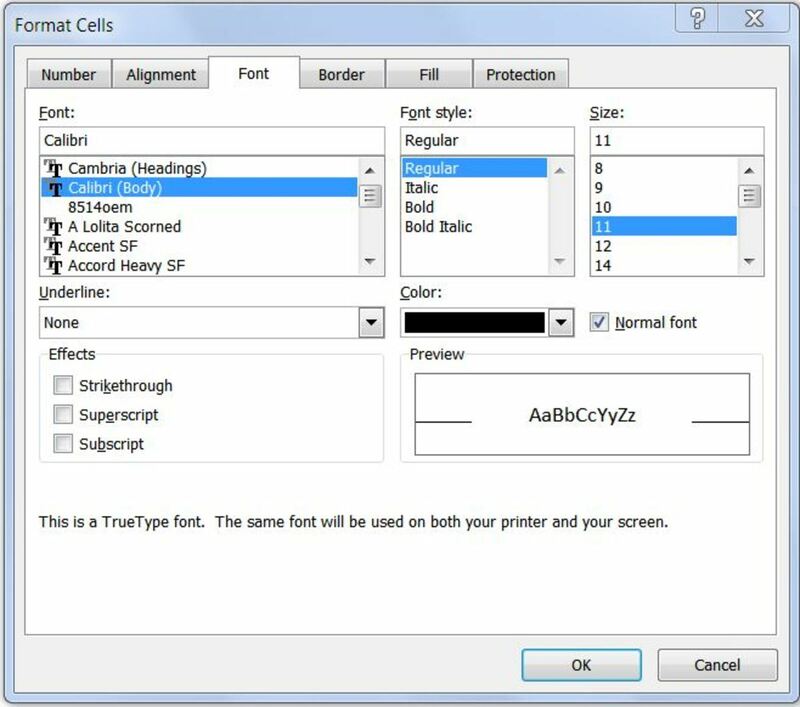 The size, formatting and style of the font can make a huge difference to the look and feel of your Microsoft Excel spreadsheet. 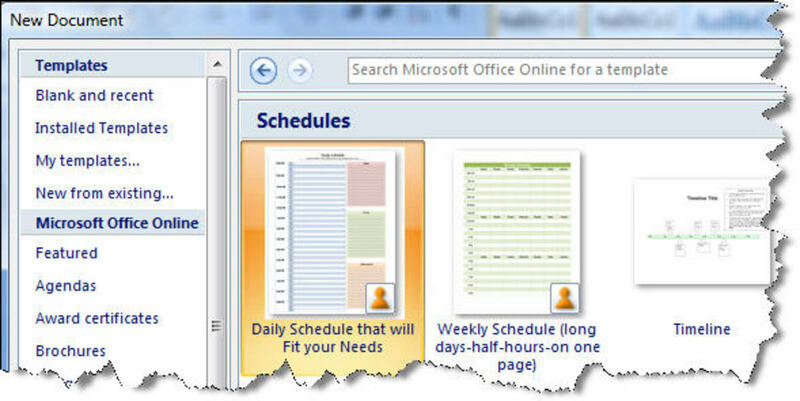 With thousands of fonts available you will be able to enhance your spreadsheet in many ways. I use Excel extensively as I find it useful to keep track of many things that I do in my business and even in my personal life. But I have to admit that I never used most of these formatting features that it provides. I found your hub very informative and useful. And I look forward to applying some of the things I learned from you on my spreadsheets. Very thorough and well done article. 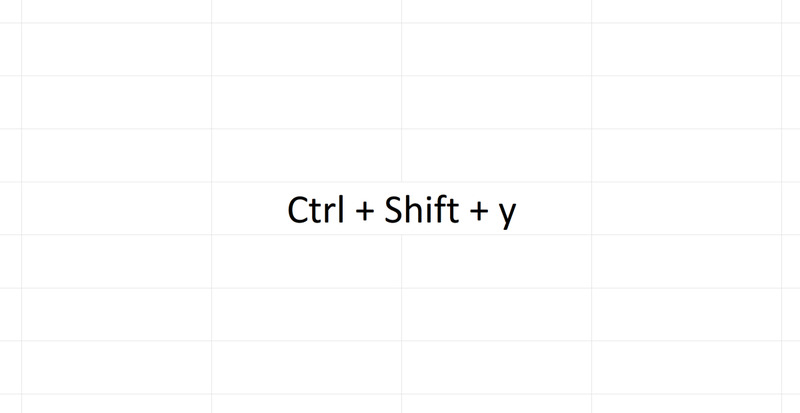 I have never used excel but know it is THE spreadsheet program most people use. I love spreadsheets and use them for everything that helps me keep my life organized. Voted up. This is a very useful article...Thanks!